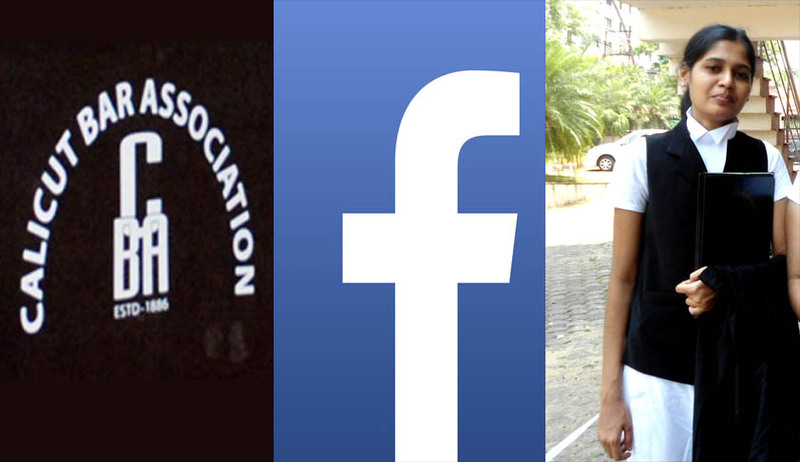 A young lady advocate, named Anima, has been suspended from Calicut Bar Association for her Facebook post. The bar association alleged that she defamed her fellow advocates and senior advocates by posting an update on Facebook. The post was of last October and it was regarding the behaviour of advocates in the bar. She didn’t, however, mention any specific names in her post. ‘’I didn’t mention any names in the post. I got show cause notice from the Bar after two months. But I couldn’t be present for the hearing as I was too busy with exams and I submitted my admit card as a proof for the same. They suspended me without considering that.The action taken against me is a clear evidence of their attitude against ladies. ” Anima said, Speaking to Live Law. The disciplinary action for expressing views through Facebook has received widespread criticism.The lady advocates in Calicut have also expressed their protest against the suspension.